Aachi Nutrimalt is a Nutritious Health Drink. 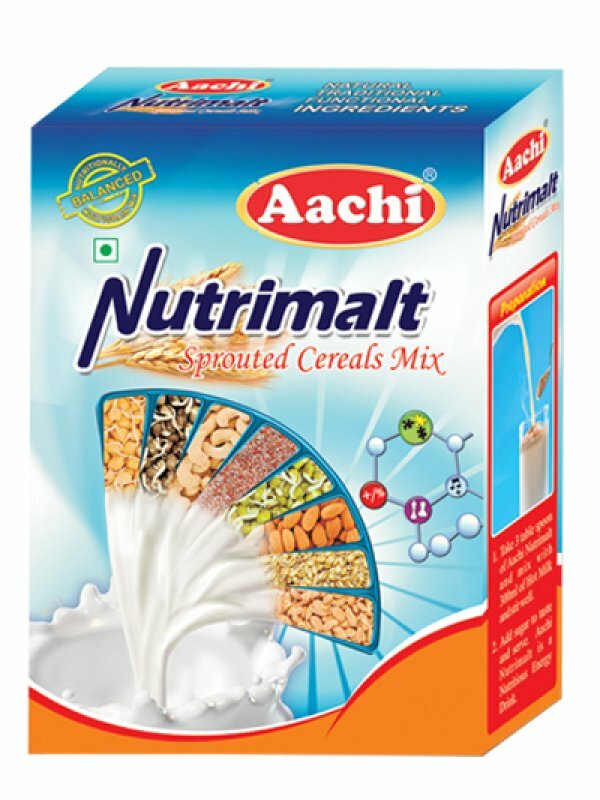 Take 3tbsp of Aachi Nutrimalt mix in a glass. Add 300ml of hot water/hot milk and stir well. Add sugar to taste and serve hot. Now tasty Aachi Nutri malt is ready. Sprouted Bajra, wheat, Bengal gram, Green gram, Black gram, Ragi, Cashew nut, Almond, Pista, Cardamom, Dry ginger, Boiled rice and Sugar.